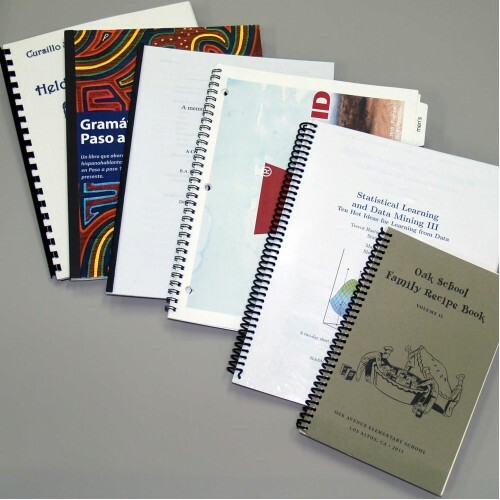 Print and bind books, handbooks, conference syllabi, instruction manuals, white papers, course readers, any black & white document. 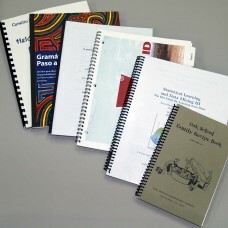 Choose from a variety of paper stocks, covers and bindings. Please see our file preparation guidelines for tips about setting up your files by clicking the link on the right hand panel. We do color bound books as well. Just click Bound Books & Presentation on the sidebar to the right. Please contact us us if you have any questions or for custom quotes.